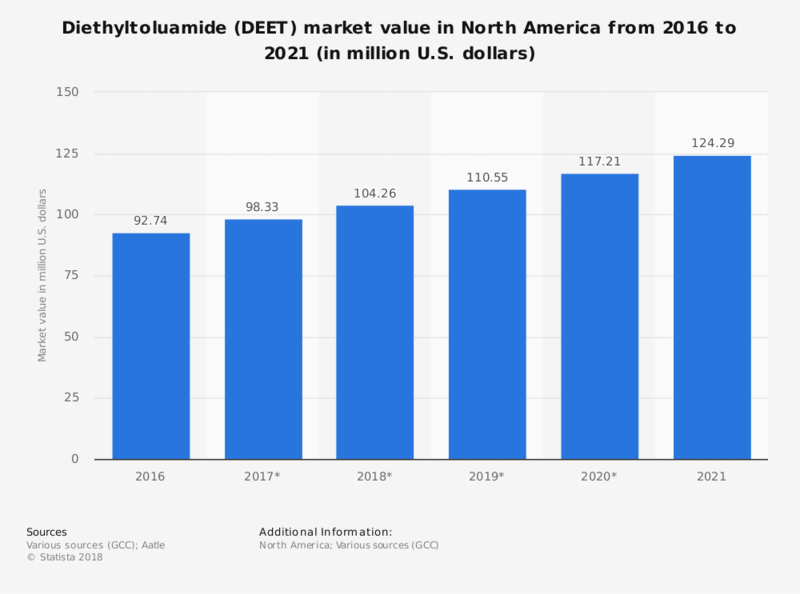 DEET was first discovered in 1946. The first mosquito repellent approved for sale in the United States with DEET hit store shelves in 1956. Since then, this mosquito repellent compound has been the most widely sold repellent. It is generally regarded as safe, though certain side effects, which could be potentially life-threatening, have been recorded. DEET is a synthetic repellent which was initially developed by the U.S. military. Samuel Gertler is credited with receiving the first patent for an insect repellent using DEET in powders, creams, and lotions. #20. A person who is moving in an environment which contains mosquito is up to 50% more likely to be bitten than someone who is not moving. 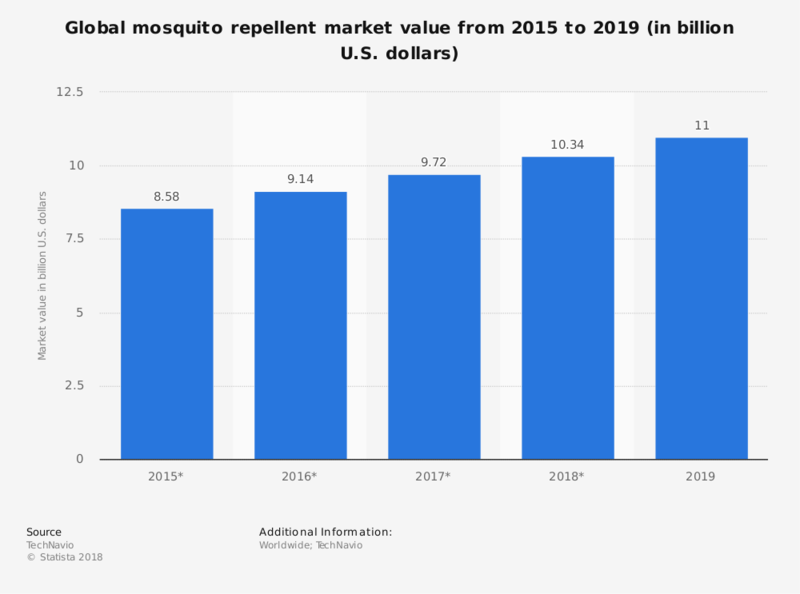 The mosquito repellent industry faces a number of challenges in the coming years. It is a seasonal product, which means consumers in the northern or far southern areas of the world may only need to purchase this product 4-7 months out of the year. The fears of mosquito disease transmission have also decreased over time, which has affected the industry in the past 5-year period as well. 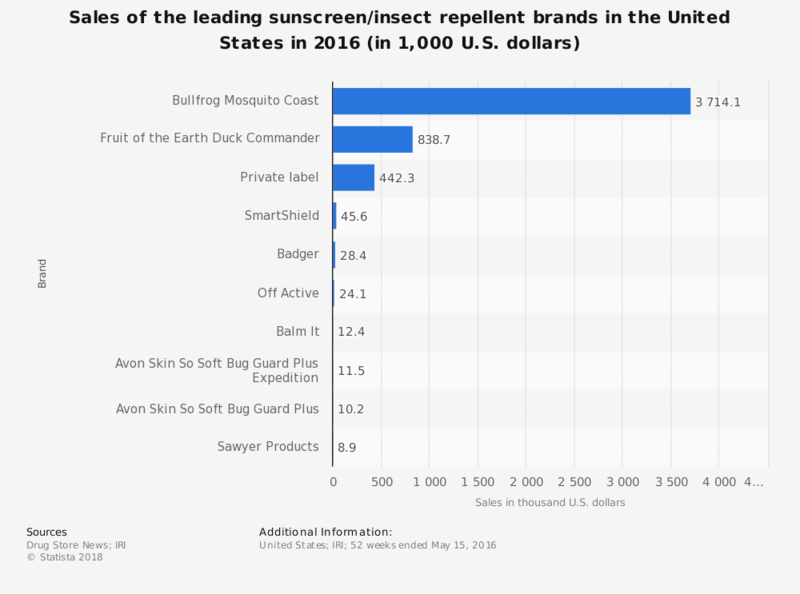 Although rising levels of Zika and West Nile have spurred some regional sales, the overall trend for consumers is to focus on natural repellents instead of ones that contain DEET. Look for the mosquito repellent industry to make adjustments that will appeal to consumers who want more natural products. There will still be high demand levels globally where disease issues, such as malaria, are still present. For the rest of the world, however, the industry will need to transition and innovate to reverse the trend of contracting revenues.